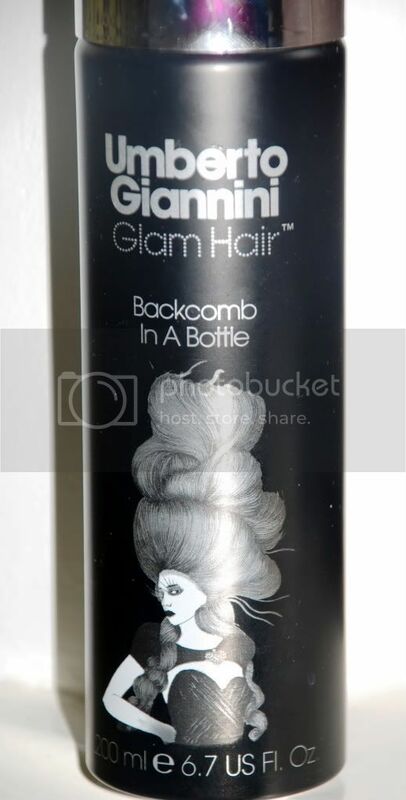 After getting my hands on the elusive Umberto Giannini Backcomb in a Bottle I had built up high hopes for this apparent "wonder product" Gone are the knotted masses of backcombed frizz, a quick squirt and mess of hair and you'd be left with the same effect without the hassle. The idea behind the product is brilliant, and I can see what Umberto Giannini wanted to achieve. Backcombing hair has become big business in styling - we want height, texture and hair that would enter a room before we do. Who would it work for? Well not me, my hair is pretty much one length, I've spent years growing out layers that made my hair wispy, flyaway and thin, so now my hair has longer grown out layers and is a bit thicker and heavier BIAB just doesn't do what I want. It also left my hair feeling a little sticky, I gave it a blast with the hairdryer after using and working it on my hair, but it still felt like I'd put too much product on. It would however work on layered hair, thinner hair and shorter crops and bobs. I could really see this working on Claire who's just had a gorgeous shattered layered bob which she could really rock up using this. 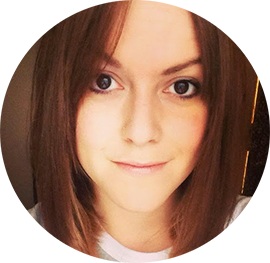 I think girls with thinner hair would appreciate the volume given - I've seen some great reviews from other bloggers who really loved this product, but we are all different in hair type. It's not all bad, the product smells fantastic, it's a sweet but not overpowering scent. The packaging is also beautiful. I'd go as far as saying it's the best I've seen lately. Gorgeous illustrations, black with silver lid, it just looks cool. The nozzle doesn't clog, and you can spray holding upside down, at an angle and the product sprays rather than jets into your hair. I've used this when I put my hair up. It's great for holding the style rather than using hairspray - and gives the hairgrips something to hold on to. It's also adds that great "grungey" look when you've thrown your hair up and bits are falling down and it looks effortless. I'm glad I purchased this on a 2 for £7 deal at Boots, as RRP being £5.61 I would have been disappointed relegating it to the hair cupboard, it will get used though - sure I can find some clients who would benefit. If you fancy trying it then Boots are offering 3 for £10 at the moment, which is a great offer! Hmmm. I have no layers and have quite a lot of hair so it doesn't sound ideal for me either. It works for me, I love it! I hate the feeling of clean floppy hair and a sprintz of this is all I need to get mussed up roots and body. I gave this a try and my hair turned into one great big sticky mess...I thought it was just me using it wrong but quite a few people now have mentioned how sticky it can be! @Louise, I hope it works for you! Let me know.